He’s touching me. She’s looking out my side of the car. He’s using my cup. She’s wearing my socks. If you have more than one child, then you’ve probably heard all of these complaints and so much more! But when siblings stop the squabbling and actually get along, it is such an adorable thing to see. Just have a look at these sweet snaps of siblings, who have figured out that when you work together, the sky is the limit! Talk about teamwork. 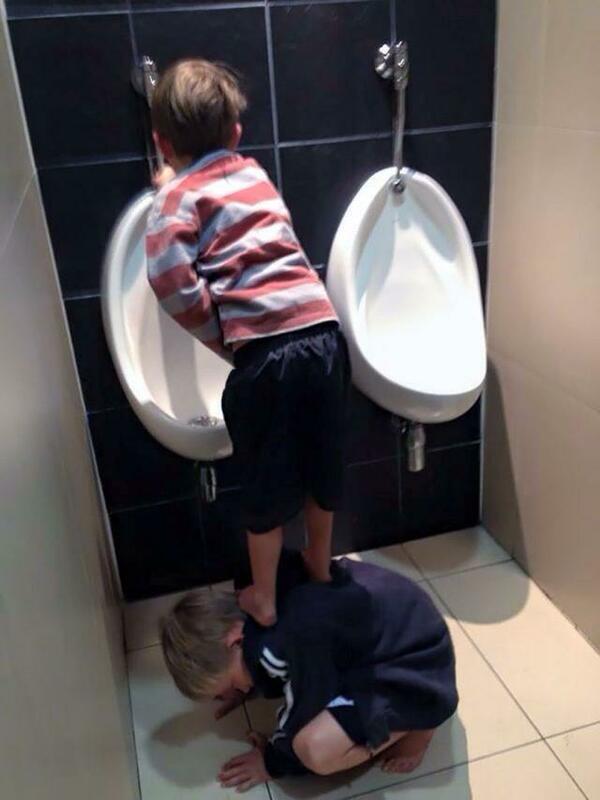 Facebook page Love What Matters recently shared this adorable story and image of a brother and sister which has prompted a whirlwind of heart-warming comments and stories of sibling chivalry. “I was out shopping today and walked around the corner to see this. My 8-year-old son helping his little sister get a drink of water. I have no idea what sort of conversation they must have had for him to end up on his hands and knees to help out his sister. But I love it,” writes a very proud parent, of this picture. The snap melted our hearts too and after a quick look around social media we discovered that sibling love is actually a lot more common than sibling rivalry (well not in my house but, hey, at least some children seem to play nice!). Take this pair, for example, who clearly have worked together to ensure their mum never ever buys peanut butter again. Great teamwork kids. The video of Mum’s reaction is absolutely priceless! And then there are these two have mastered the complications involved in urinating without an adult present. And we simply must share this brother/sister duo who clearly love reading as much as each other. On the count of three, everyone say naww! And not many big brothers let their sister fall asleep on their laps. I guess some kids learn early on that siblings really are the best mates in life, even if they always steal your socks. Because like them, loathe them or love them, your siblings are always going to have your back. And while your little ones may not see it that way just yet, there will come a time when they do. Do you have a sweet sibling story and picture? Share a photo with us of your kids actually getting along and we’ll collect our favourite moments to include in a post.